Can You Get Google Maps for iOS 6? Man uses google maps to navigate. When people upgraded their iOS devices to iOS 6, or when customers bought new devices that had iOS 6 pre-installed such as the iPhone 5, they were greeted by a major change. The old Maps app, which had been part of the iOS since the beginning, was gone. That Maps app was based on Google Maps. It had been replaced by a new Maps app created by Apple, using data from various non-Google sources. The new Apple Maps app in iOS 6 received substantial criticism for being incomplete, incorrect, and buggy. That state of affairs had many people wondering whether they could get the old Google Maps app back on their iPhone. If you prefer Google Maps on your iPhone or other iOS devices, you're in luck. 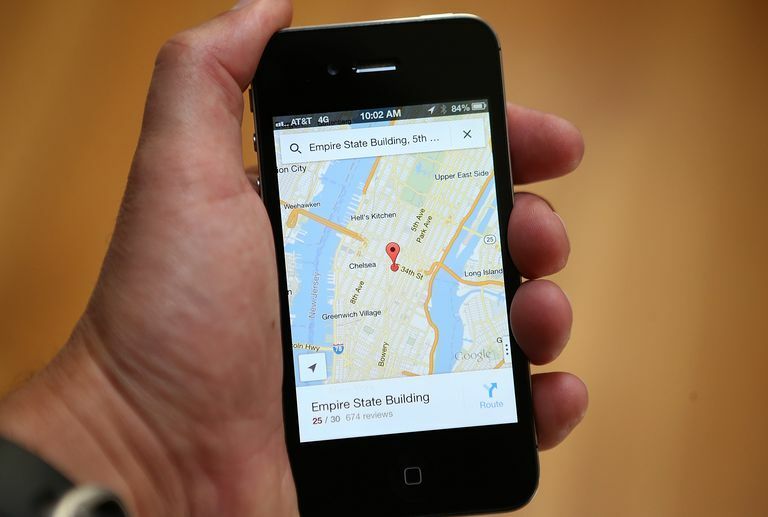 The standalone Google Maps app became available for download at the App Store for all iPhone users in December 2012. The free app can be ​downloaded at iTunes here. Apple's reasons for choosing to create its own Maps app to replace Google Maps isn't totally clear. Neither Apple nor Google made a public statement about what happened between the companies that led to the change. There are two theories that explain the decision. The first is the fact that the companies had a contract for inclusion of Google's services in Maps that expired and they choose not, or were unable to agree on how to renew it. The other holds that removing Google from the iPhone was part of Apple's ongoing fight with Google for smartphone dominance. Whichever was true, users who wanted Google's data in their default Maps app were out of luck with iOS 6. In addition to the standalone app, iOS users can also use Google Maps through another app: Safari. That's because Safari can load Google Maps and provide all of its features through the web browser, just like using the site on any other browser or device. To do that, just point Safari to maps.google.com and you'll be able to find addresses and get directions to them just like you did before the upgrade to iOS 6 or your new device. To make this process a little faster, you might want to create a WebClip for Google Maps. WebClips are shortcuts that live on your iOS device's home screen that, with one touch, open Safari and load the web page you want. Learn how to make a WebClip here. It's not quite as good as an app, but it's a solid backup plan. The one downside is that other apps that integrate with the Maps app have to use Apple's; you can't set them to load the Google Maps website as the default for all mapping tasks. Apple's Maps and Google Maps aren't the only options for getting directions and location information on iOS. As with practically everything you need to do on the iOS, there's an app for that. Check out Lifewire's collection of great GPS apps for the iPhone for some suggestions. Can You Upgrade to iOS 6 Without Losing Google Maps? Whether you're upgrading your existing device to iOS 6, or getting a new device that comes with iOS 6 pre-installed on it, there's no way to keep Google providing data to the default Maps app. Can You Downgrade from iOS 6 to Get Google Maps Back? The official answer from Apple is no. The real answer, though, is that, if you are fairly tech-savvy and have taken some steps before upgrading, you can. This tip only applies to devices that ran iOS 5 and have been upgraded to iOS 6. Those that had iOS 6 pre-installed, like the iPhone 5, or run a later version of the iOS, don't work this way. It's technically possible to downgrade to earlier versions of the iOS—in this case, back to iOS 5.1.1—and get the old Maps app back. But it's not easy. Doing it requires having the .ipsw file (the full iOS backup) for the version of the iOS you want to downgrade to. That's not too hard to find with a little Googling. The trickier part, though, is that you also need what's called the "SHSH blobs" for the previous version of the operating system you want to use. If you've jailbroken your iOS device, you may have these for the older version of the iOS you want. If you don't have them, though, you're out of luck and won't find them posted online. With this being so complex, I don't recommend that anyone other than the technically advanced, and those willing to risk damaging their devices, attempt this. So where does that leave iOS 6 users frustrated with the Apple Maps app? With two choices: either learn to love Apple's Maps app or download the Google Maps app.